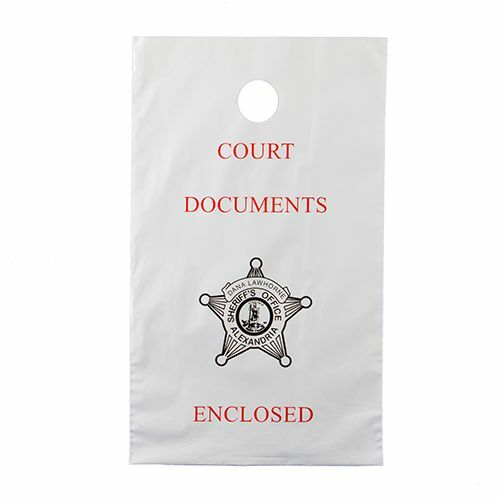 Contents stay clean and dry in our high-intensity door knob bags. Weather elements have no effect on company brochures, magazines, and newspapers. The leak proof bags have cardboard headers with hang holes. They are quick and easy to load and mount on door knobs. Catalogs, flyers, and samples slip into the custom printed leak proof bags. All orders from our company have custom printing available. 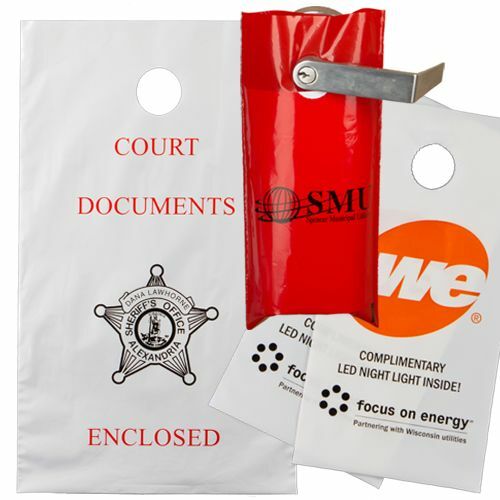 The custom leak proof bags, made from stiff polyethylene, are durable and tear-resistant. Imprinted leak proof bags are a combination of economics and strength. Your source for Doorknob Bags and Plastic Shopping Bags.